Feel beautiful as you step in elegance wearing the Cushnie™ Deep V Pencil Dress. Relaxed fit with hourglass silhouette. Long, slim fit sleeves with cold shoulder detail. Draped design along the bodice. 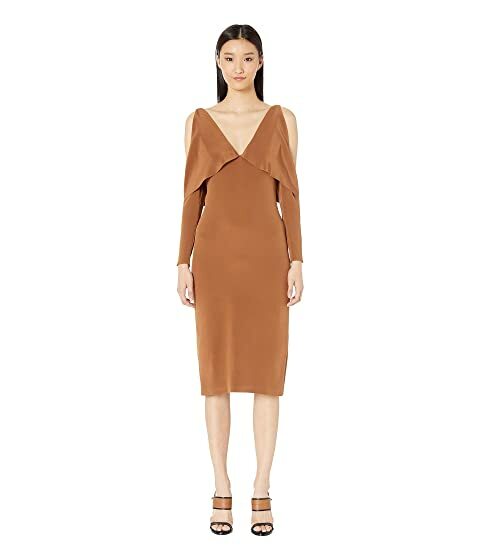 We can't currently find any similar items for the Deep V Pencil Dress with Folded Drape and Open Sleeve by Cushnie. Sorry!